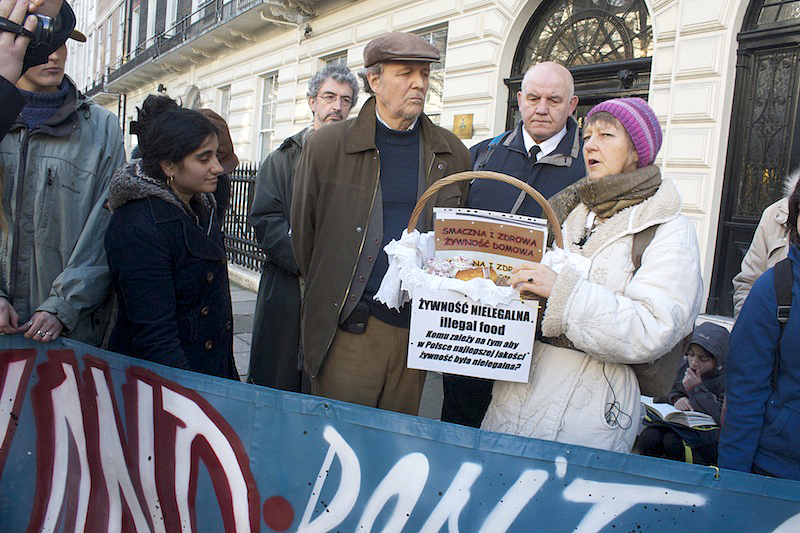 Today members of the Community Food Growers Network joined the International Coalition to Protect the Polish Countryside (ICPPC) in delivering a hamper of “Illegal Foods” to the Polish Embassy in London. 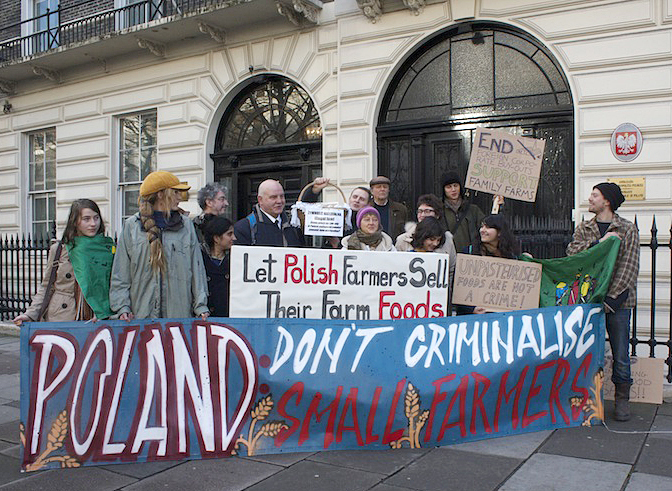 They protested to highlight the excessively harsh regulations imposed upon small Polish farmers which effectively prohibit them from selling traditional foods processed on the farm. The traditional foods delivered to the embassy included smoked hams, sour cabbage, raw milk, bread, pickles and cheeses. These products do not comply with the current Polish government demand for farmers to carry out processing operations in specially constructed premises. Such infrastructure is not affordable to any but the largest farms supplying the supermarket trade. 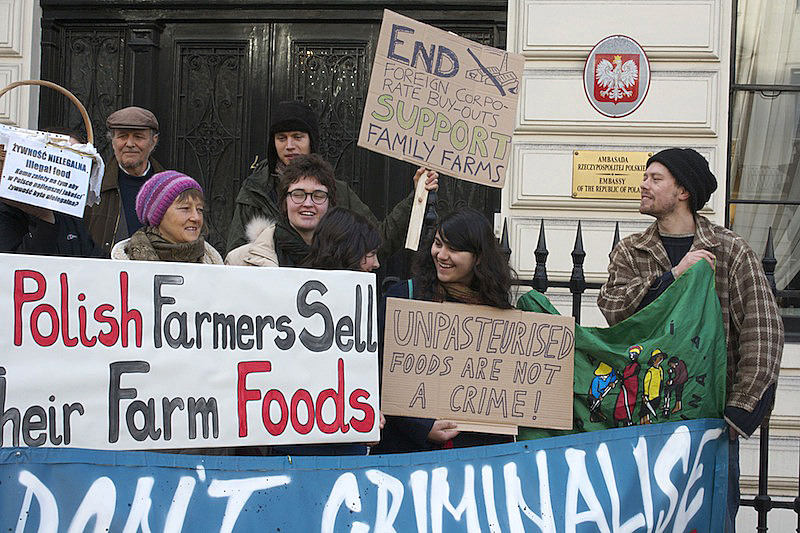 This forces small scale farmers out of business and restricts consumer choice. Since January 2014, over 200 farmers using tractor convoys have been protesting in Northern Polish towns in order to highlight their demands for a change to laws undermining their traditional way of life. Their major demands are: to end the criminalisation of farmhouse food sales which they claim to be the most repressive in the European Union; to end foreign corporate buy-outs of prime Polish farmland and to enforce the ban of GM crop planting. Pingback: Polish Farmers Rise to Defend Traditional Foods - Hartke Is Online!